Children’s vibrant red and white welsh sports kit, complete with white shorts. 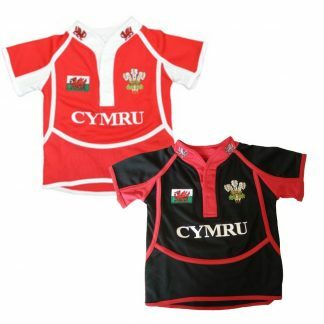 A fantastic Children’s Welsh sports kit. 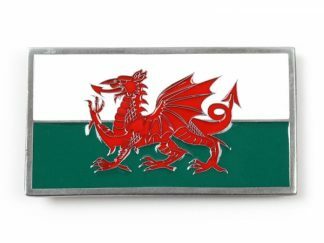 Available in a vibrant red with contrasting white panels down the side and ‘Cymru’, the Welsh word for Wales across the front. 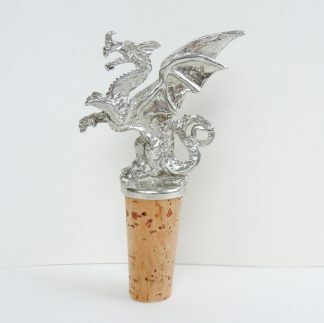 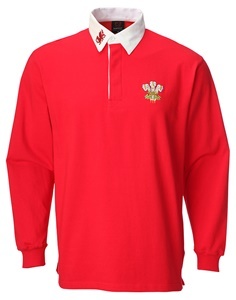 It also features an embroidered silver dragon and a Welsh flag shield. 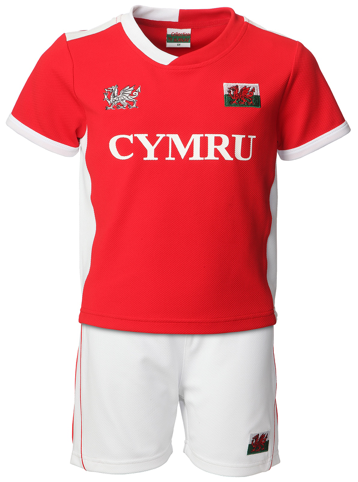 Comes complete with white shorts, that feature red piping and an embroidered welsh flag on the leg. 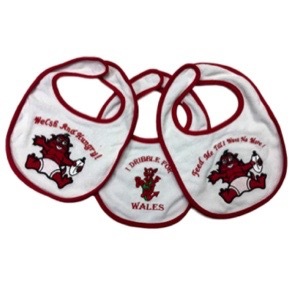 Perfect for any future Welsh star!